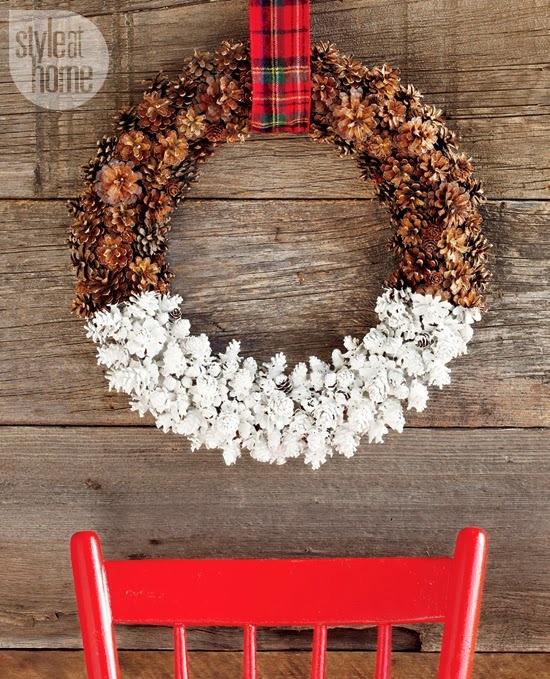 Mix and Chic: Fresh, fabulous and simple DIY holiday wreaths! Fresh, fabulous and simple DIY holiday wreaths! I have gathered some easy DIY ideas on ways to create your own unique, beautiful and personalized wreaths for the holiday season. I hope you will be inspired by these fresh and fabulous projects below! I love this rustic cone wreath with the contrasting snow-covered effect. It is original, modern and absolutely stylish! To learn more, please click here. 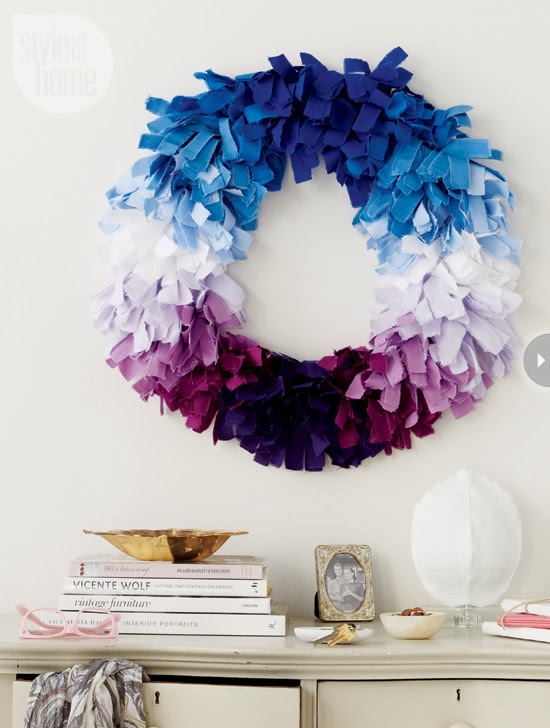 This wreath can be easily achieved by using your favorite fabric remnants. I also like that it has a fresh, unexpected, ombre effect. To learn more, please click here. 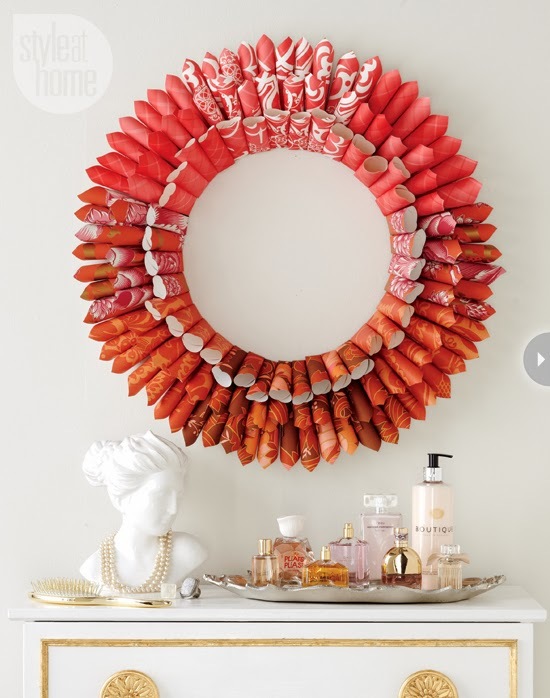 You can use your leftover wallpapers for this easy DIY wreath project. If you do not have leftover wallpapers, you can substitute it with wrapping papers or colored papers. To learn more, please click here. 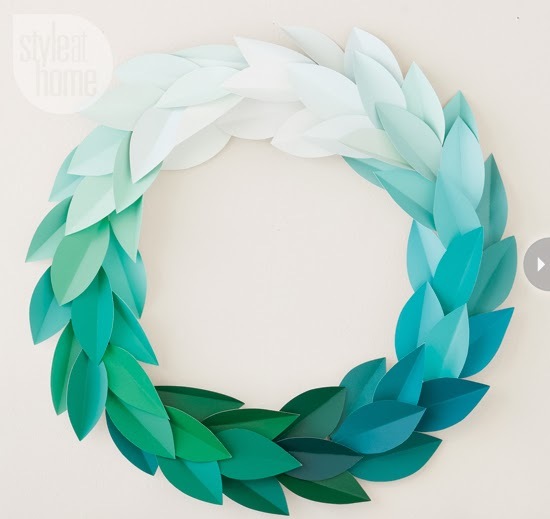 I love this whimsical paint chip wreath for its ombre effect and modern simplicity. To learn more, please click here. Thanks for stopping by. I appreciate you taking the time to share with me your thoughts, ideas and suggestions. Your comments always, always brighten up my day! So, keep them coming. Have a beautiful day! Welcome to my blog. 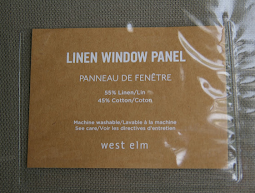 I am an Interior Decorator based in Chicagoland, Illinois. Married and a mommy to my 12 year old son. Through this blog, I will be sharing my passion for design and my inspirations with you. Occasionally, I will also be showing you my home and some of my clients' decorating projects. I am a firm believer that a beautiful home can be achieved in any budget through creativity and smart shopping. Currently, I am offering e-design (online decorating) service at an affordable rate to help you create a home that reflects you, a home that will make you smile every time you walk through the door. Hope you have fun following along. Email me at mixandchic(at)yahoo(dot)com if you have any questions. Thanks for reading! 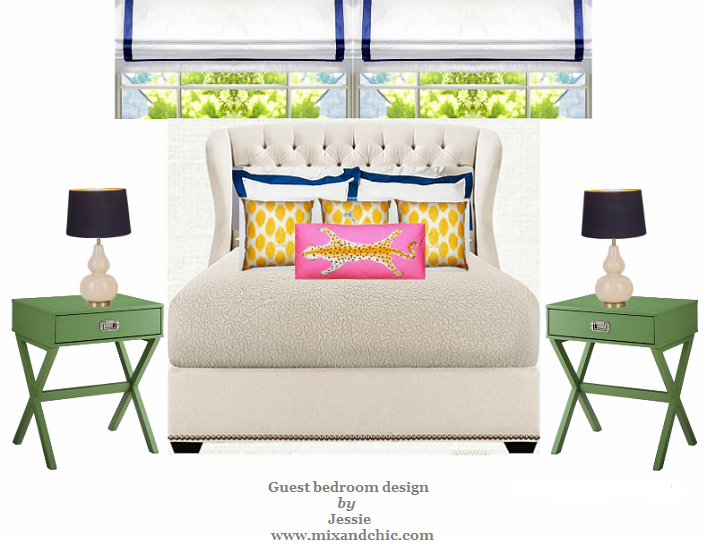 Subscribe now and receive notifications of new blog content and updates from Mix And Chic. 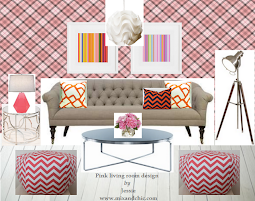 Email me at mixandchic(at)yahoo(dot)com to be added to the mailing list. Thanks. An interior designer's effortlessly elegant Nashville home! Inside a designer's beautifully layered, pattern-filled New York apartment! Inside a designer's relaxed modern vintage California home! Inside a fresh and fabulous waterfront home in the Bay Area! Home tour- A rustic and refined Tennessee log cabin! Inside a bright, breezy and beautiful Alys Beach oasis! Create A Stunning Antique Look For Any Room! How To Rejuvenate Your Living Room! A rustic and charming vacation home in North Carolina! A traditional Michigan home with a modern twist! From designer seating and office desks to message boards and credenza, create your dream home office. Browse inspiring bedroom design, then outfit your own bed frame, convertible sleeper sofas ordaybed with designer bed linens and a decorative pillow and throws. Cool designer alert- Nicki Clendening! Home tour- A designer's eclectic Hollywood home! Home tour- Calvin Klein Home Exec's Rustic Cabin! Home tour- A colorful holiday home! A glamorous bathroom in New York! Home tour- A Parisian designer's St. Barts home! Home tour- A Scandinavian-style home in Toronto! Home tour- A globally inspired California home! Some of the best holiday decorating inspirations! Cool designer alert- Tracy Hardenburg! Book review- The English Country House! Cool designer alert- Theresa Casey! Home tour- A fresh country stone cottage! Product review- U.S. Polo Assn.Clothing! It’s Here! 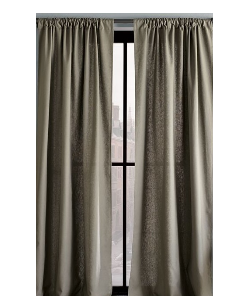 Wayfair’s Biggest Sale of the Year: Way Day 2019! Pre-made blog design © 2011 Danielle Moss // Graphic Design & Photography.